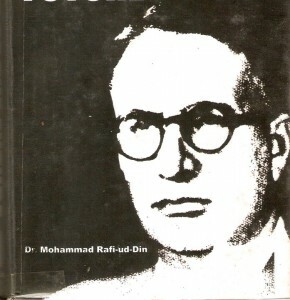 Dr. Muhammad Rafi-ud-Din was a great thinker, philosopher, writer and above all an expert ‘Iqbal Shanas’ of 20th Century. 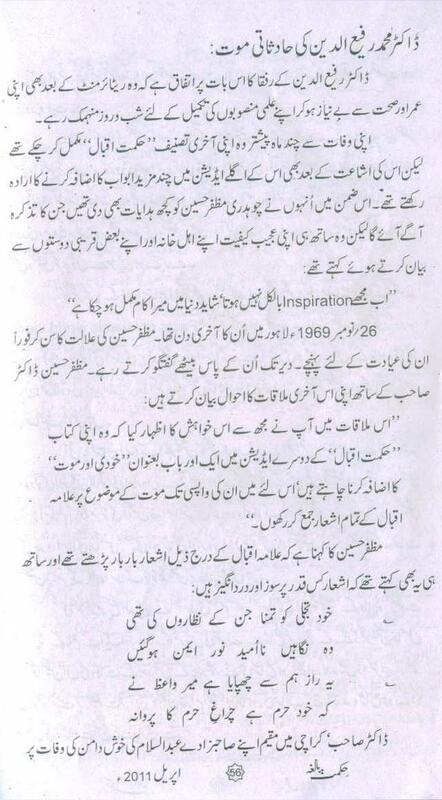 He was one of those blessed ones who were friends of Allama Iqbal and really knew the essence of Iqbal’s poetry. 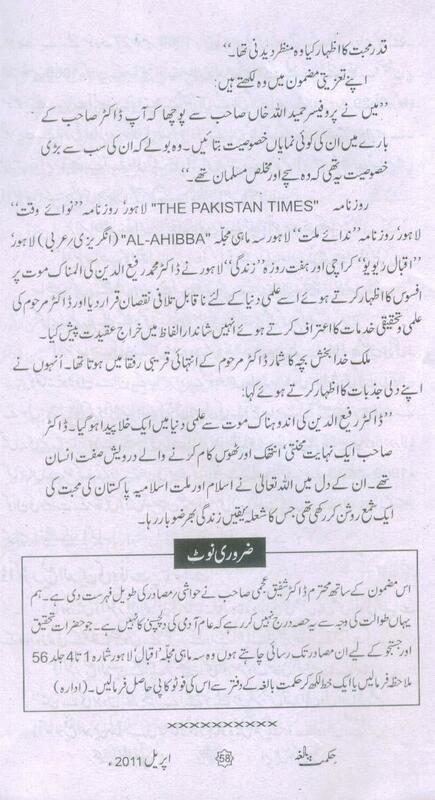 Another name comes in our mind, Prof. Yousuf Saleem Chishti as ‘Iqbal Shanas’. 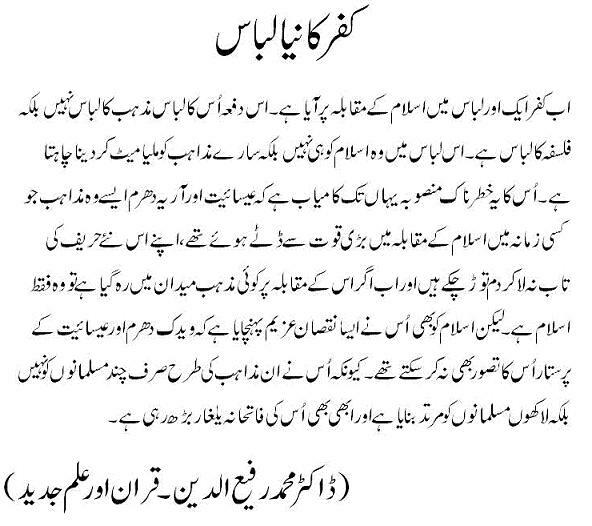 “Allama Iqbal was neither a poet nor a philosopher, He was basically a Sufi and Darvaish (Mystic)”. 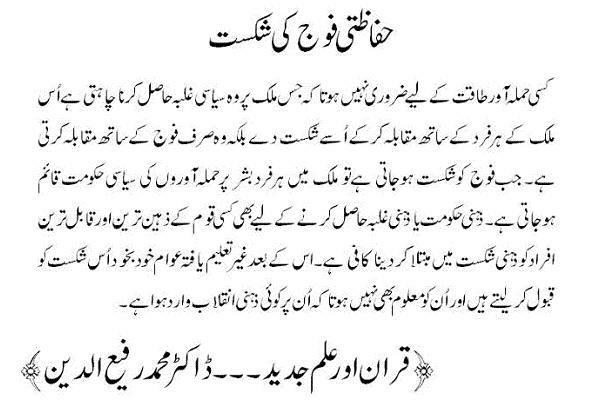 This is exactly our point of view that Allama Iqbal was a Qalandar, Faqeer & in fact a WalliAllah (Please wait for another post for further details). 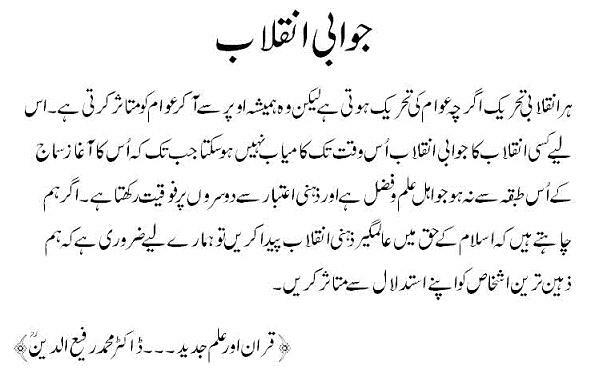 Allama Iqbal repeatedly mentioned words Qalandar, Faqeer, Darvaish for himself in his poetry. 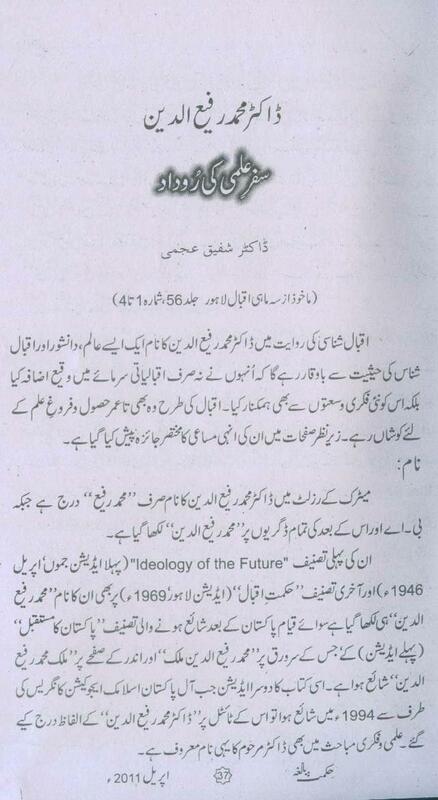 Book: Hikmat-e-Iqbal: Pages 48-49-50. 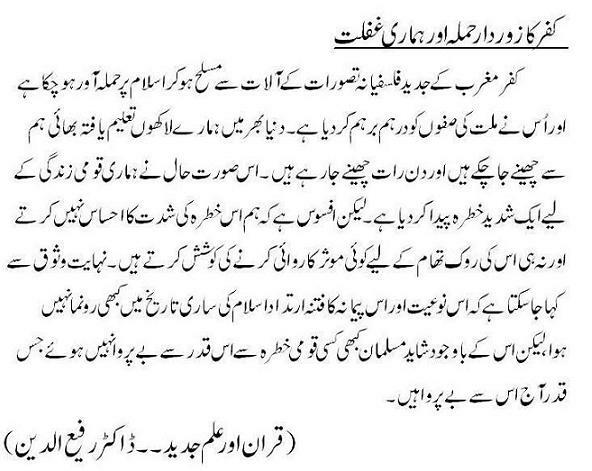 Allama Iqbal's Letter to Moulana Suleman Nadvi & Khawaja Hassan Nizami. 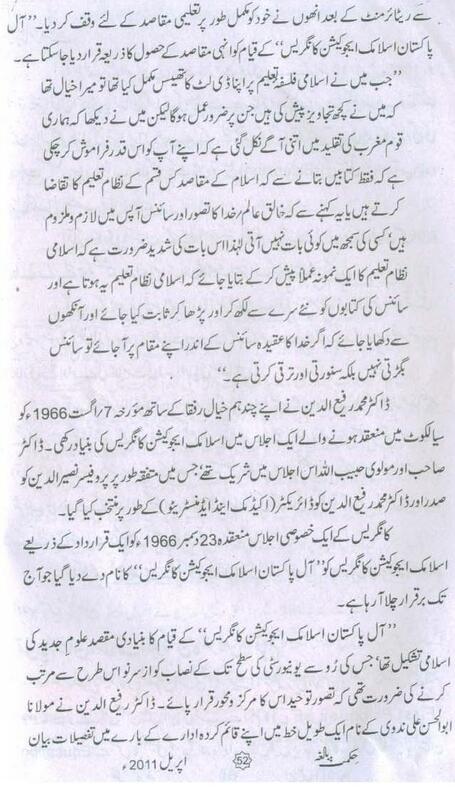 This is one of the most famous and highly regarded work of Dr. Rafiuddin. Admin's Note: More Posts from Dr. Rafi-ud-Din' work will be published here with the passage of time. Kufer (Atheism) ka neya Labaas Darwinism hai. Communism, Capitalism, Modernism, Postmodernism and Fascism are all based on Darwinism. Wa Alikum Assalam Brother Faisal ! 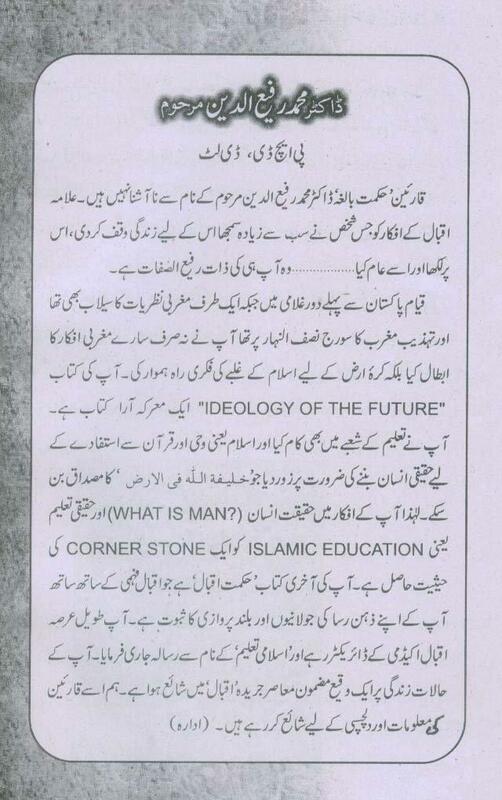 I have added his book 'Ideology of the Future's online link in above post. Thanks for reading. Thank you very much for bringing up such an important thinker like Dr. Rafiuddin. In my humble opinion he was among the very best thinkers produced by Pakistan and the East. Find the huge collection of urdu english poetry shayari and quotes of dr. iqbal sahab.